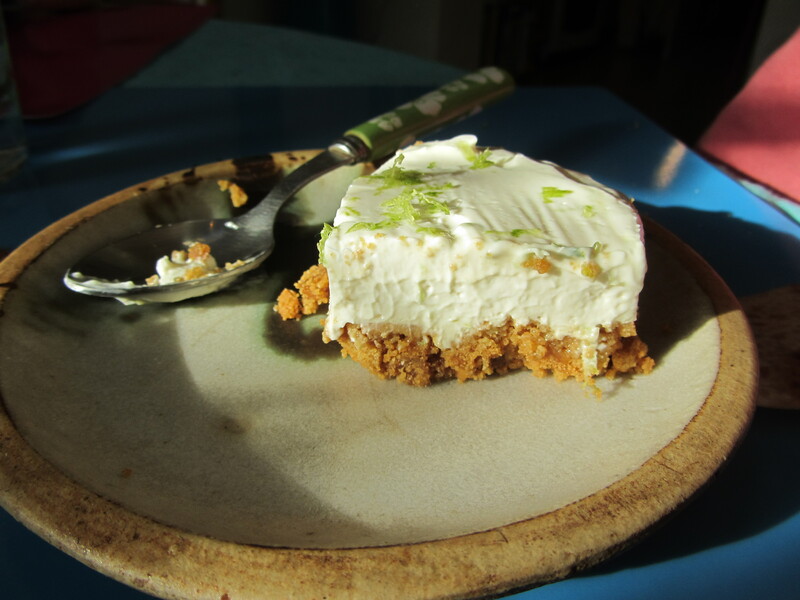 Cheesecakes have always been one of my favourite puddings, and that remains the case since cooking dairy and egg-free. 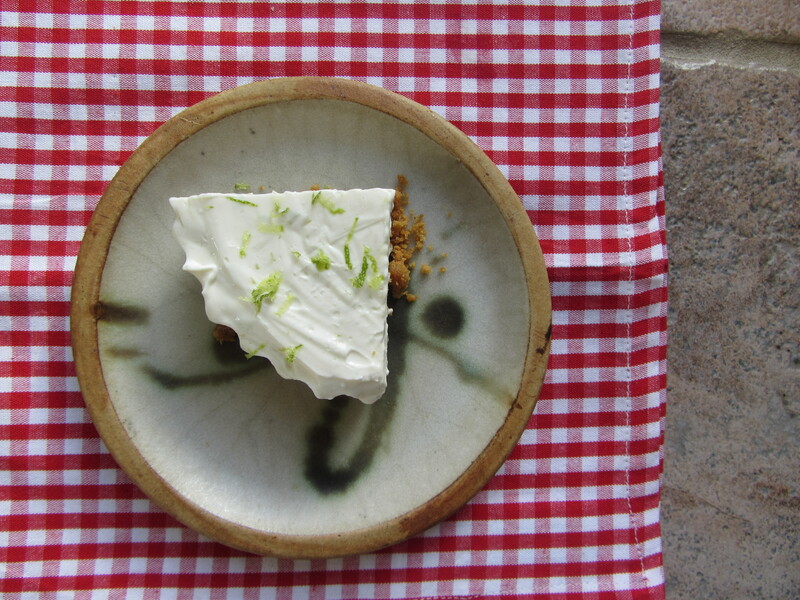 I’ve tried many, many truly awful recipes, but this ‘no bake’ recipe works an absolute treat. Tofutti is the only dairy-free cream cheese that I rate, but this particular recipe can use any brand of vegan cream cheese to great effect. I find most dairy-free cream cheeses unpleasant and often rather pasty, but this recipe transforms even a disappointing ‘cheesy’ spread into a luxurious, zingy, creamy cheesecake. It’s luscious, cheesy, zesty and sings with flavour. A great way to end a rich or spicy meal. 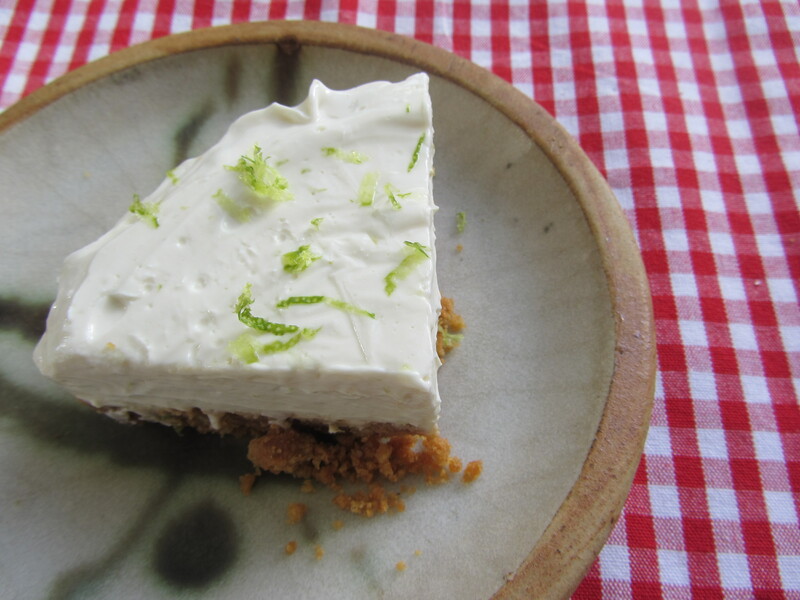 The combination of ginger and lime works really well and if you didn’t mention it to them, I’m fairly certain not many people would call it as a vegan cheesecake. Mix the crushed biscuits with the melted spread. Press into the bottom of the pie tin, or into individual ramekins. Place in the fridge to set. Whisk together the other ingredients until they are smooth. Taste and add more lime juice or icing sugar according to taste. Pour onto the biscuit base, and level off the top. Remove the tin prior to serving and garnish the top with a little more zest.